This post is an attempt at decoding the clichés parents rely on—and emphasizing on factors that we must consider during school admissions. While the education quality is important, seldom do we evaluate factors that make schools the best. How should an educational institution be? What is required in a school to ensure all-round development of children? What qualities does an institute inculcate in students? Read on to find answers to common questions that haunt you during school admissions. Who is it that you meet in a school for the first time? Well, the admin staff sitting at the admission counter. Their personality, gestures, and actions, set a long-lasting impression on visitors. While the first impressions do matter it shouldn’t be the only factor guiding your decision. Is the staff well-versed with the school policies? Are they able to answer your questions? The mindset of the staff is more significant than how well dressed they are, and we must consider this factor. Many believe that knowledge is immaterial, learning space secondary and aesthetics don’t matter to those who love to learn. What about preschoolers who don’t know what learning is? Psychologists believe infrastructure and facilities directly influence a child’s performance as students spend maximum time in schools. Schools must personalize their infrastructure to meet the individual learning requirements. Kids grow up to be self-confident individuals when they are treated with love and respect. However, a school with a safe and welcoming environment isn't enough for our kids. It is important to raise emotionally healthy kids. Emotionally strong children overcome setbacks and manage performance pressure. We need schools that develop a positive attitude in students. Effective teaching is not just defined by understanding, innovating and delivering complete knowledge. It also includes research, training, exploration, and inspiring kids to think. The most important quality to look for in a teacher is if they can empower pupils to grow independently. A mix of freshers and veterans is important to accelerate the development of children, and a low teacher-student ratio per class increases opportunities for personalized learning. The first thought that crosses our minds when taking a decision is 'Is it beneficial for our kids?' The schools must adopt a similar child-centric approach to avoid severe repercussions, like boredom, frustration, and discontent in students and parents. 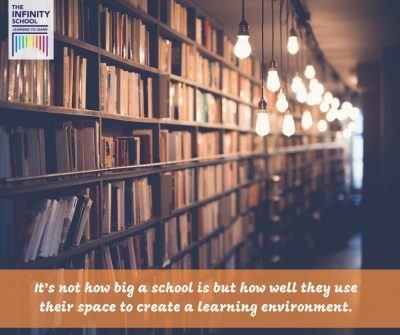 The curriculum, the staff, the administration and different learning environments in a school must satisfy a student’s requirements. Setting realistic goals and showing the way to achieve them is an important quality of schools. Getting good grades, outcompeting others, and helping students score better marks are not realistic goals. 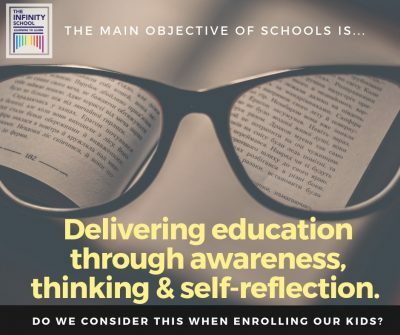 Fostering self-improvement in children, nurturing academic excellence and helping them fulfill the purpose of their life is. Student performance boosts multi-folds when the entire school community collaboratively works towards a long-term goal. Many high schools don’t focus on parental involvement when they should. It’s their primary responsibility to involve parents in the mainstream development of their tots to create a sense of belonging in children. 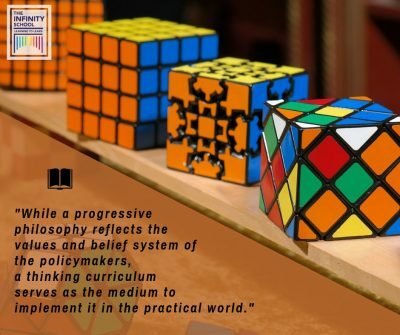 A growth-minded school philosophy unifies core values, curriculum, pedagogy and the purpose of education to optimize learning outcomes in students. 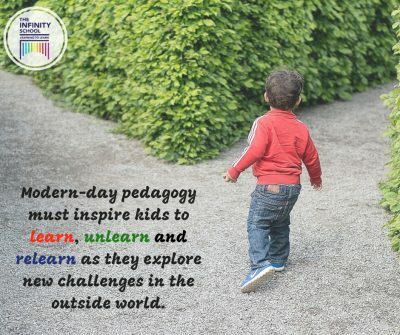 Even Plato, the renowned philosopher believed in raising kids independently in a learning space that supports skill building through the inclusion of creative arts and sports. Think from your kid’s perspective. 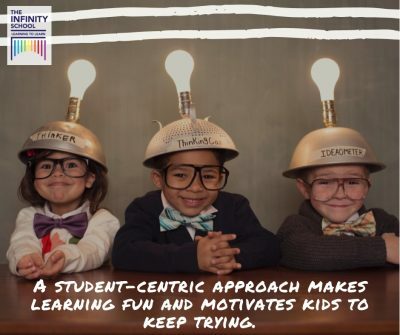 Will they learn if you constantly drill them with boring texts and meaningless examples, or when you engage them in a meaningful activity involving flashcards and visuals? Children learn from enjoyable and relatable experiences. Also, learning should go in tandem with practice and backed by a constructive feedback. When the staff and students are involved in decision-making, it develops trust with the higher management. Pupils and staff may feel powerless, unconfident and undervalued in a school that doesn't provide mentorship and guidance. One paragraph doesn’t define the whole story. Similarly, it is unfair to judge an organization based on pre-defined parameters (gaudy exteriors, student results, reputation, and history). There are multiple factors defining the success of schools today. As parents, we must figure out what’s best for our children. Is the school fulfilling your child’s cognitive/non-cognitive requirements? Tell us what you think.